"It's extremely rare to come across a really good guitar player who is entirely self-taught." Can I Learn How to Play Guitar all On My Own? There are tons of music self-study courses, books, CD's, and DVD's for you to choose from. Add in the hours of video on YouTube and across the Internet, and you've got an endless supply of information on how to learn music...which presents the biggest problem of all...Confusion! The information alone isn't the key to having fun and learning to play guitar. It's the correct application of the information that makes the difference. That's why private music lessons work! Without someone to show you the proper way to execute finger patterns, chords, scales, appregios etc. you run the risk of learning incorrectly and creating some seriously bad habits. Even something as simple as holding the guitar...hold it wrong and you'll end up fighting with the instrument for the rest of your playing days. You're doomed. There are chords and moves you will never be able to grab simply because you hold the guitar wrong! ... that may be so but only in the simplest form. You'll end up playing the odd riff and a few chords here and there but nothing will be connected preparing you for the more melodic chords and key structures and more meaningful riffs and scales with hooks that all good musicians and song writers shoot for and then... you'll hit the dreaded frustration wall and you won't be able to go any further, sad but true. With all due respect, the guitar can be a pretty challenging instrument for anyone left alone to make all the connections for themselves...especially in the beginning stages. There are very real "humps" that all guitar players experience and they occur at different stages of development. Ask any good guitar player and they will admit that they have conquered the humps... but with help. In fact many really good guitar players have walked away from the instrument entirely... only to return to it with a fresh, more educated approach. When you take lessons with a live instructor, you get the added benefit of building the correct foundation and learn the ever important skills and technique that simply cannot be attained through all the do-it-yourself media. Unless you are being taught the correct approach to these methods, how will you even know if you are doing things right? Who do you ask? For example...when you go online, searching for that new song to learn, you trust that the key signatures, timing charts, tabs, tunings and chord diagrams are correct. Unfortunately more often than not, all that info you are relying on to learn the song is transcribed incorrectly. It happens all the time. 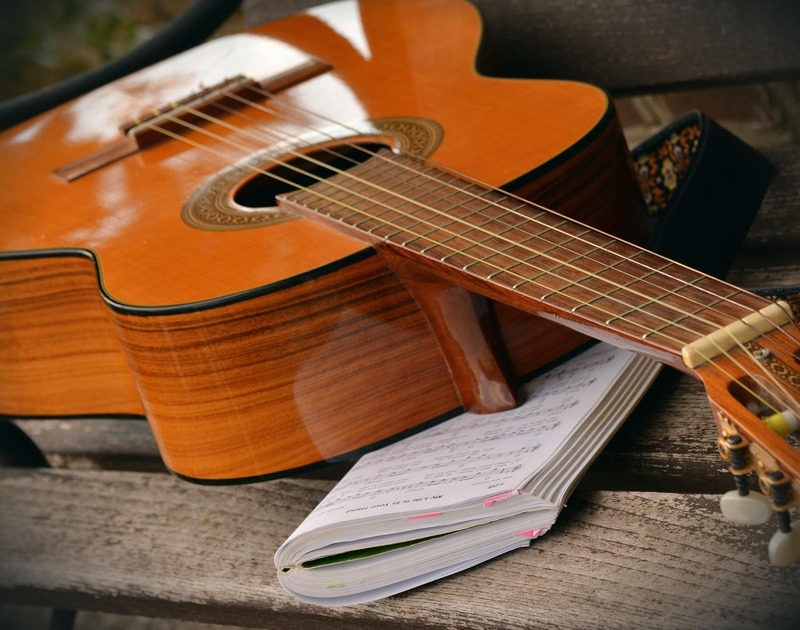 So as a beginner choosing to learn to play on your own, you may be in for a bit of a surprise when after putting all that hard work into learning the song from incorrectly transcribed tab it doesn't sound right. IMPORTANT NOTE: A sad fact for all guitarists is that anybody can post guitar tab to an internet site, whether they know what they're doing or not. The method is very simple; you grab a pencil and write your version of the song the way you think you heard it in guitar tab form, and then publish it to the internet. Oh oh! Are you sure the song you're trying to learn on your own is correct?